You are here: Virgin Islands News Online » News » New FAA BVI Airways approvals; credibility low after 4th take off missed! 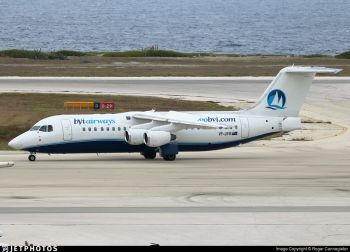 New FAA BVI Airways approvals; credibility low after 4th take off missed! ROAD TOWN, Tortola, VI- The controversial $7.2M bailout deal by the Dr Smith-led National Democratic Party Administration to BVI Airways in exchange for direct flights between Miami, Florida, USA and the Terrence B. Lettsome International Airport, Beef Island, has made another announcement on regulatory approvals. In a press release dispatched today June 19, 2017 to selective media houses it said that the Federal Aviation Authority (FAA) of the United States has granted BVI Airways approvals under Part 129 of the Federal Aviation Regulations, to conduct flights between the Virgin Islands and cities in the United States. After some $7.2M in tax payers’ funds and some four promised deadline to fly, the public, civil society and the media are becoming sceptical. Meanwhile, this news site sought to find out whether the latest FAA approvals announced by BVI Airways included direct flights out of Miami, USA; however, BVI Airways’ Public Relations Officer, Sachkia Barnes-Christopher of Barnes PR, when reached, said she could not take our call. 4 promised take off dates but zero thus far! 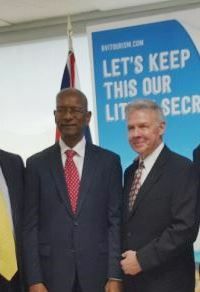 Premier Dr The Honourable D. Orlando Smith (AL), one of the biggest backers of the deal and who went as far as lambasting a local company, VI Air link, to the US Government in favour of a foreign company, told the people on four different occasions of four expected start of flights. Firstly, Hon Smith told the public the plane will fly in October 30, 2016. When it never did, he said November 30, 2016 but there were no flights yet again. He then promised a new take off date of December 30, 2016 and passengers are still waiting. 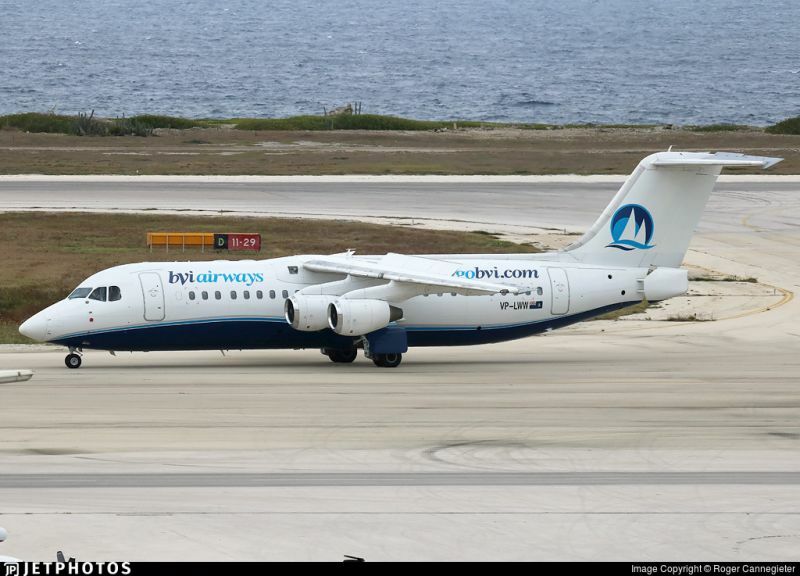 Some weeks ago he told the House of Assembly that the new expected directed flight date announced by BVI Airways was June 30, 2017; however this is expected to be missed also. Dr Smith was caught lying again over this agreement when he told the House of Assembly on June 13, 2017 that BVI Airways is in compliance with the contract signed between BVI Airways and the Government of the Virgin Islands. In fact there has been some four occasions were the agreement has been breached, including take of dates, total amount to be paid out by government, pay out time table and penalties for not meeting certain conditions. RIDICULOUS! Our government invest/subsidize, or whatever they make up at the time, in this foreign (acting local) start-up airline. We the people need to sue NDP for this- (People of the Virgin Islands vs their own Government). Might as well, either way we have to pay for all of this mess. And once it flies all of you will be on it. Just hush! You sound like a child who believes in their deadbeat parent, only to realize reality over time... Tic-Toc! We have to get back to a system where votes count for the voters and not for those who see money put into elections as just another investment opportunity. In other words, it has to be fair and open, so deals like this will end. Importantly too, we must start to grasp what this will look like when we get there. The opportunity for reform will be coming soon. Actual flight date is commercially sensitive. Orlando caught in fibs again. Who will he throw under the buss next? What a surprise, more announcements made to keep the public quiet and give the appearance that things are happening when they are not! When asked about the Miami flights nobody is available to take the call, another shock! The taxpayer has been fleeced big time and its about time that the government stood up and told the truth. This airline with NEVER fly the Miami route as promised but may actually fly to some other airport in Florida such as Orlando etc. We, the taxpayer have been lied to, and this money is long gone! he would be called a man with a vision. This Gov. is so WISHY WASHY! I'm lost for words! We need our monies back. Put our monies back in the treasury.. Hope the split up haven't been spent as yet.. Forget the fact about Miami flights the planes are already purchased/leased. What's the pay back plan now is the real issue..
Maybe I should try go to the government and borrow money and let to know I want to build apartments for locals to rent which will Benefit the bvi and locals and see if I would get the same hand out. This is like the old pea and cup con game. The paper trail for the planes is very hard to follow right now. The planes were leased then sub leased to another then that entity sub leased them again to do the flighst they are now making. I very much doubt if anything is coming back with the exception of any sub lease payments. What would be very interesting to know is who is responsible for the maintenance! Were the planes leased with maintenance included or are we the tax payer on the hook for that? These aircraft require specific inspections every 100 hours as well as annual inspections etc. There are also specific components that must be replaced on a specific schedule. This all costs a LOT of money. Just who would be so foolish as to start a daily or weekly air service between the BVI and Miami in the middle of the slow season. Again, ask St. Lucia about their success in offering jet service to that island. Dr. Smith was given poor advice by the Tourist Board's head man who previously encouraged the Government to open up a service to North Sound V.G. which was closed down shortly after it got started. We lost hundreds of thousands of tax payers dollars on that occasion and we will loose millions more on this pipe dream before reality sets in. BUT not to worry, Social Security will be called upon to bail us out.